Since we closed the doors to our brick and mortar store, much has happened. Circumstances beyond our control has led us to the difficult decision not to reopen the store. I’m sure you do not want to hear all the details, so suffice it to say, we have become the full time caretakers for my 91 year old mother-in-law. I understand what a tremendous loss the store is to the community. It breaks my heart that we had to make this decision. However, if there is anyone interested in reopening the store please contact me. I would love to work something out. I still have quite an inventory left. Please shop on our online store at www.knit-n-crochet.com. If you are local, when you check out, please select the drop down tab by standard shipping and select instead “pick up in store”. I will be happy to arrange a time to meet you to deliver your order. Stay tuned here for news and watch out for our news letters for specials. Knit-n-Crochet is Where to Look! If you're searching for yarn and knitting supplies for sale, you've come to the right place. 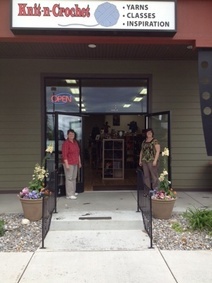 Knit-n-Crochet is North Idaho's premier source for crochet and knitting supplies, and nationwide customers can find crochet and knitting supplies online in our convenient e-commerce shop. With countless options from 39 brands of yarn, 33 brands of needles and hooks, a plethora of kits, and an amazing assortment of sales and specials, we've got everything you need to tackle your next great project. We Know Knitting! 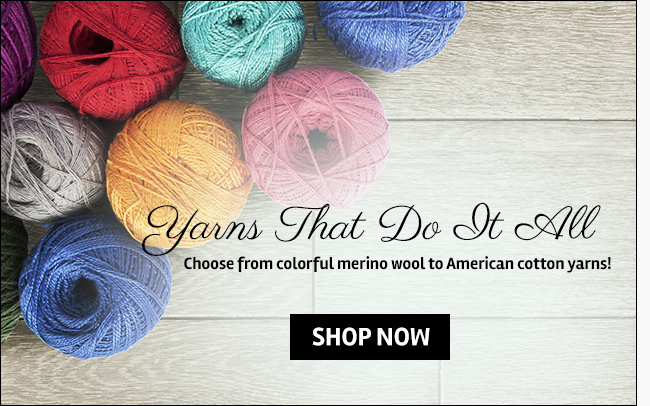 With the best knitting supplies online, you can find the perfect needles and fiber for you whether you're a novice with your knit and purl or well-seasoned with your stitches.